Peter and Lynn Ware have written a unified series of music theory textbooks published by Acoma Company, specifically designed to meet the requirements of RCMusic Examinations. Part of a student’s success relies on a unified approach to learning aided by a consistency of materials as they progress through the levels of theory. 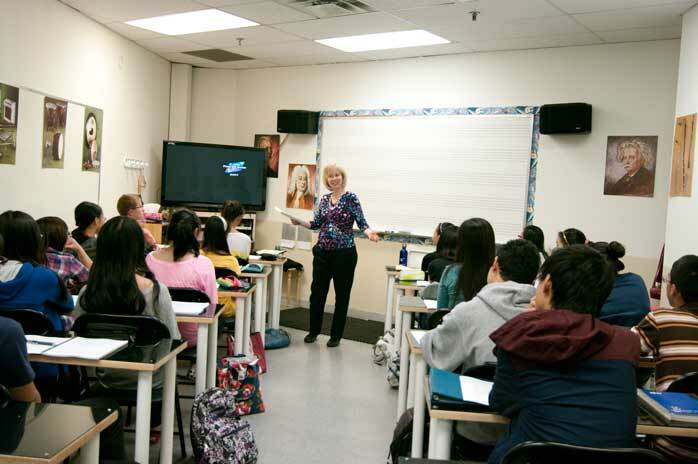 Once students absorb the basic skills to pass the first harmony or history exam, subsequent advanced classes become easier and students can focus on the fun, creative aspect. While some schools give handouts, they are usually lost by students. We often receive complaints from parents: "The last school my son attended, they used handouts. By the time the exam came, he had lost most of them and could not study for the final." Acoma’s Textbooks organize the material giving them the information to support their review and study the week of the exam. Ware Academy of Music has produced Four, RCMusic National Gold Medal winners in Music Theory! The highest-grade average across Canada for all ARCT theory requirements. Their success is due to their dedicated work and interest and enjoyment of music theory, Acoma’s textbooks, Ware’s policies and years of training and experience of our faculty. This enables the school to achieve a low failure rate and high grade averages, allowing both students who want to excel and students who only want to pass to fulfill their dream. All theory exams from Level 9 through ARCT are university level courses. Memory and pratice of the excusition of the theoritical concepts are required. Description of contents: All inclusive method of basic music theory. Covers the current RCMusic Examination Theory Syllabus requirements for RCMusic Level 5 Theory. Designed for young students, parents, and teachers alike. Description of contents: All inclusive method of basic music theory. Covers the current RCMusic Examination Theory Syllabus for RCMusic Levels 5 & 6 Theory. Designed for young students, parents, and teachers alike. Description of contents: All inclusive method of basic music theory. Covers the current RCMusic Examination Theory Syllabus requirements for RCMusic Levels 5, 6, 7, & 8. Designed for young students, parents, and teachers alike. Suitable for both self-study and classroom environments. Clear and simple charts for memorization and metric grids. Easy to read, step-by-step procedures for writing: triads, intervals, rests Modes included: Dorian, Phrygian, Lydian, Mixolydian. Scales included: Major, minor, whole-tone, pentatonic, blues, octatonic, both forms of the chromatic scale. Musical terms in German, Italian, and French. Other topics: cadences, V7 chords, transpositions, scoring. Sing your way through cadences on the exam! Practice exams and over 50 full pages of practice sheets included! An answer book is available. Description of contents: Covers the current RCMusic Examination Theory Syllabus requirements for Basic Harmony. Step-by-step approach to harmony. Practice sheets and in-depth text covering the fundamentals of harmony. Examples of musical analysis. Practice Exams. Clear tables and charts for easy memorization.Write progressions by song and sing your way through the exam!Make Harmony as easy as possible! Learn to see and hear the music your music. *Textbook sales are restricted to students enrolled in the History 1 class at Ware Academy of Music. Description of contents: Covers the current RCMusic Examination Theory Syllabus requirements for Level 9 History. No other textbook required. Easy to read, understandable language. Essay material organized as it should be written on the exam. Expanded sections on composers' musical styles. Definitions with examples. Complete music descriptions in point form. Genre charts for quick study. Compiled lists of composers' works. Description of contents: Covers the current RCMusic Examination Theory Syllabus requirements for Level 10 Harmony and Counterpoint. Step-by-step approach to harmony. Practice sheets and in-depth text covering the fundamentals of harmony. Examples of musical analysis. Clear tables and charts for easy memorization.Write progressions by song and sing your way through the exam! * Textbook sales are restricted to students enrolled in the History class at Ware Academy of Music. Description of contents: Covers the current RCMusic Examination Theory Syllabus requirements for Level 10 History. No other textbook required. Easy to read, understandable language. Essay material organized as it should be written on the exam. Expanded sections on composers' musical styles. Definitions with examples. Complete music descriptions in point form. Genre charts for quick study. Compiled lists of composers' works. Description of contents: Covers the current RCMusic Examination Theory Syllabus requirements for ARCT Harmony & Counterpoint. Step-by-step approach to harmony. Practice sheets and in-depth text covering the fundamentals of harmony. Examples of musical analysis. Clear tables and charts for easy memorization. Write progressions by song and sing your way through the exam! Description of contents: Covers the current RCMusic Examination Theory Syllabus requirements for ARCT History. No other textbook required. Description of contents: Covers the current RCMusic Examination Theory Syllabus requirements for ARCT Analysis. In-depth text covering the details of form, including sonata-allegro, rondo, fugal, etc.. Over 80 pages of musical examples included! Welcome to Ware Academy of Music. 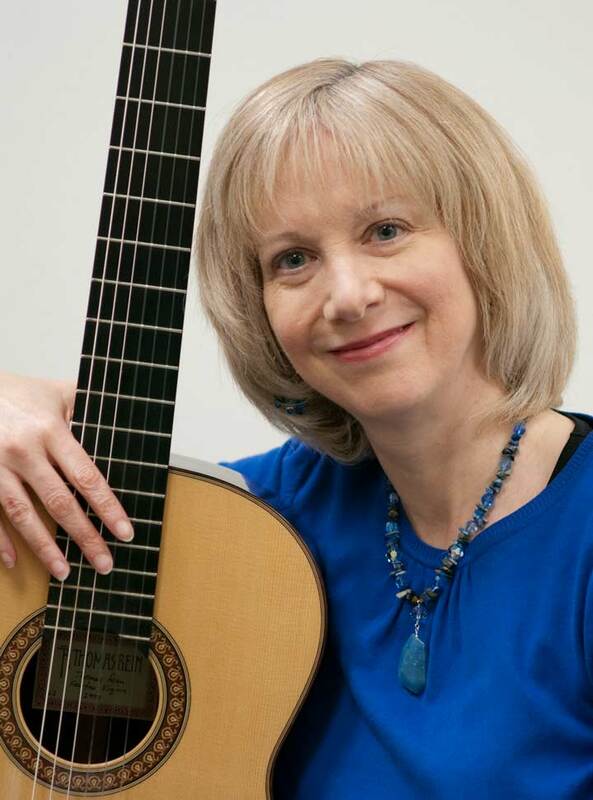 I’m Lynn Ware, owner and teacher of rudiments, music history and classical guitar. Peter and I have been preparing students for RCMusic theory and instrumental examinations for over 30 years. Peter received his M.M. degree in composition from Yale University, under Toru Takemitsu and Kryztof Penderecki. I completed my M.M. degree in guitar performance at Kent State University. Our school is intimate in nature, growing from a private practice. We focus on lessons and classes rather than sales. Our teachers are a tight community who form strong bonds with students and parents to ensure students achieve their personal best. Whether your goal is to avoid humiliation in the school band, become a violin virtuoso, pass a rudiments exam or become the next theory gold medal winner, we are here to turn that into a reality. Hope to meet you in class or at a concert soon! The Theory classes require sharp, disciplined minds and develop tremendous intellectual capacity. A positive, pro-active attitude is essential for students to absorption theoretical ideas. 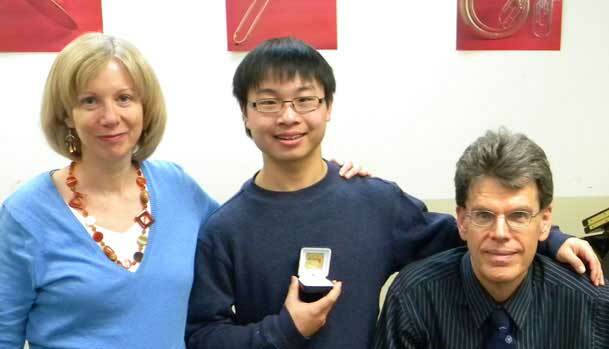 Eric Tan received the highest theory average for theory class exams for ARCT in Canada (excluding rudiments classes). His grade average was 94.6! We wish to make the theory requirements as meaningful and painless as possible. When students do not work hard or create behavioral problems, teachers may choose to forfeit the guarantee. Enroll students when they will have time to study, memorize, and practice. If a student keeps up with weekly tests and homework, but does not pass, they will be eligible to sit in the class again only if and when there are available seats in the class. Ware Academy offers students 30 hours of preparation, unless compromised with statutory holidays or RCMusic examination dates. All material is specifically written for RCMusic examination preparation. Successive classes and books offer a consistent approach and layout creating an easy path through the advanced exams. Advanced Rudiments and Harmony students benefit from extra workshop sessions once per week with additional meetings during holidays. Theory class students arrive early to have homework checked at the desk. Weekly tests allow students/parents to constantly monitor progress. Mock exams provide realistic expectations. Ware Academy of Music approaches theory with a fun, encouraging attitude and lively teacher/student interaction. ©2019 Ware Academy of Music 2942 Finch Avenue East, Suite 111, Toronto, Ontario M1W 2T4. Serving Music Theory Students from Greater Toronto Area, Toronto, Markham, Scarborough, North York, Whitchurch-Stouffville, Pickering, Richmond Hill, Vaughan.